This year’s Gala is bigger and better than ever, so this year will be taking place in Sycamore Park as well as the grounds of the Memorial Hall. There are nearly 30 stalls with crafts, jewellery, cosmetics and toys for children. In addition, there’s a burger stall with burgers and sausages from Crawshaws, refreshments and a bar. There are the traditional favourites of a cake stall, tombola, bottle stall , coconut shy and a variety of games for children, fairground rides, a bouncy castle, face painting and football games. The main raffle prize is a £50 voucher from P.A. Jewellery, there are tickets to Sheffield Wednesday and Sheffield Eagles, a voucher for a meal at the Shoulder of Mutton and many other prizes . The Gala starts at 11.30 and will be opened by Matt Dixon, Chair of Bradfield Parish Council. There will be a display of stunt cycle riding by local champion Sam Shepherd. Continuing the cycling theme, there’s a smoothie bike and a static bike challenge to get you in the mood for the next day! Best of all, a real bargin for the whole family as there’s free admission. 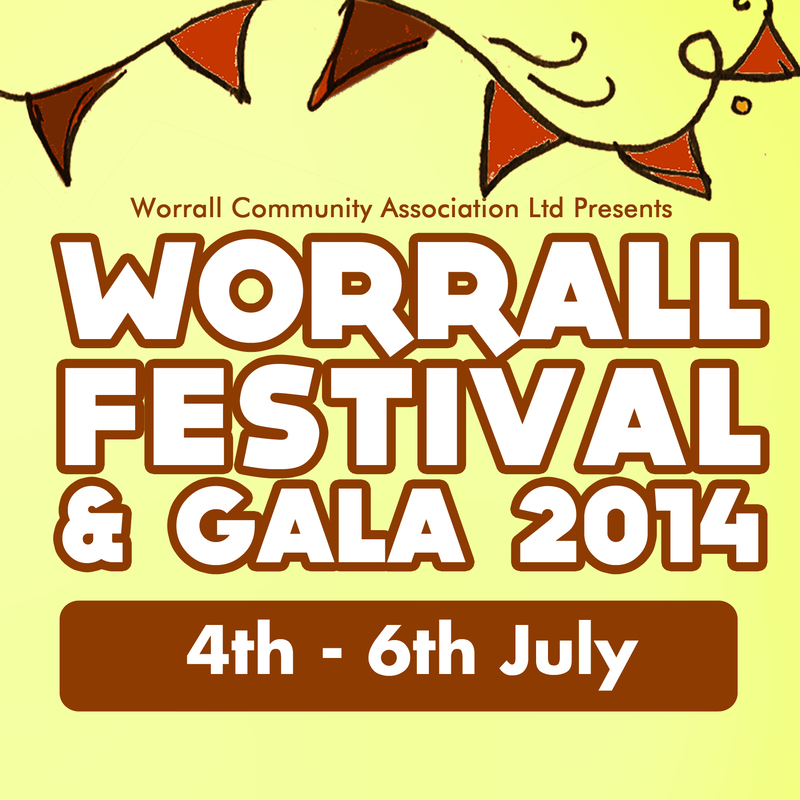 Worrall festival starts right after the Gala at 4:00pm with our afternoon concert. Tickets for this can be purchased in advance or on the door. On your way to or from the Gala, have a look at ‘Upcycle’, the community art installation opened by Nick Clegg at the junction of Kirk Edge Road and Worrall Road. This entry was posted in Uncategorized by worrallfestival. Bookmark the permalink.